I have compiled a list of promotions below for easy reference! SUMMER SALE IS HAPPENING NOW! Its SHOPPING TIME! Time to get new clothes for my little prince Travis! After having this little one, I have stepped onto the neverending shopping journey!~ Haha. From now till 31 July 2018, vPost is currently giving out CASH REBATES off your SHIPPING (Up to S$15) for your overseas purchases. (Limited to the first 500 redemptions only. Terms and Conditions apply.) Use https://goo.gl/6qzf8y to REDEEM your PROMO CODES NOW! HURRY UP! Putian DuoTou Clams are in season now! The culinary team at PUTIEN will be serving DuoTou Clams cooked in eight different ways. Want to try the delicious DuoTou Clams? Participate in this Instagram GIVEAWAY NOW! 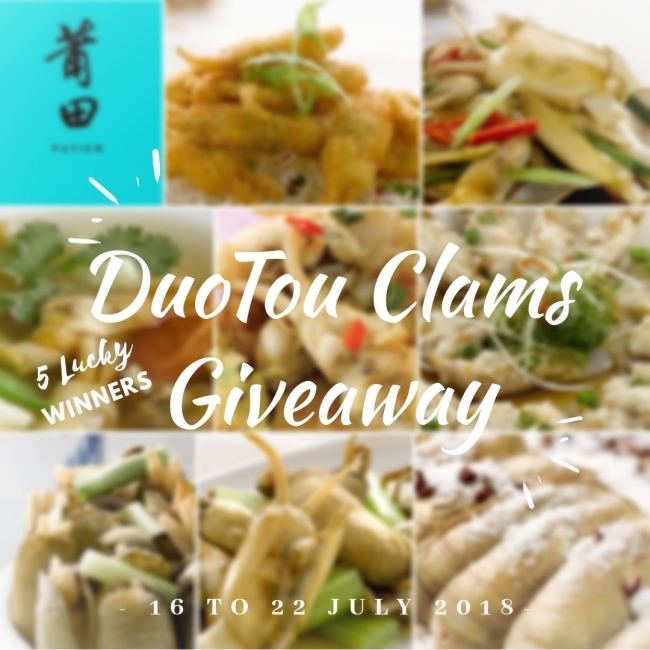 Check out my Instagram Post to WIN a PUTIEN Small DuoTou Clam dish (Worth up to S$22.80) of your choice from the 8 different menu items (5 lucky winners)! - This giveaway will close on Sun, 22 July 2018 2359pm. - It is only opened to people residing in Singapore only. - DM will be sent to the Winner. - Each voucher entitles the recipient to redeem a small DuoTou Clam dish of your choice (choose from the 8 different menu items). - Voucher can be collected and redeemed at PUTIEN Ion, Vivocity or Tampines. 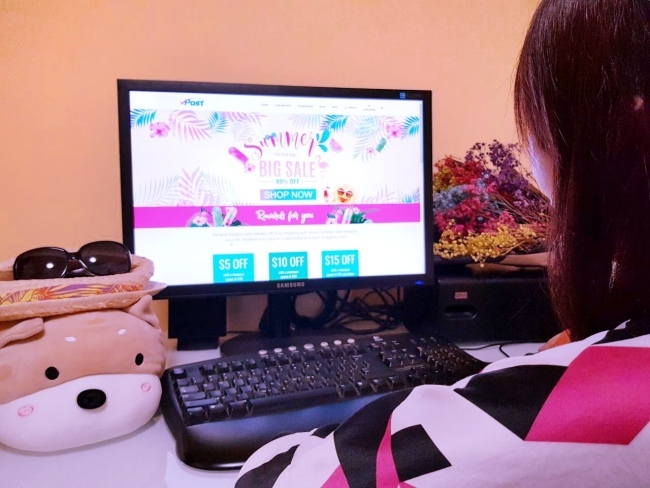 - The voucher is valid until 31st August 2018. View My Instagram Post to partipate in the Giveaway! DURIAN LOVERS! 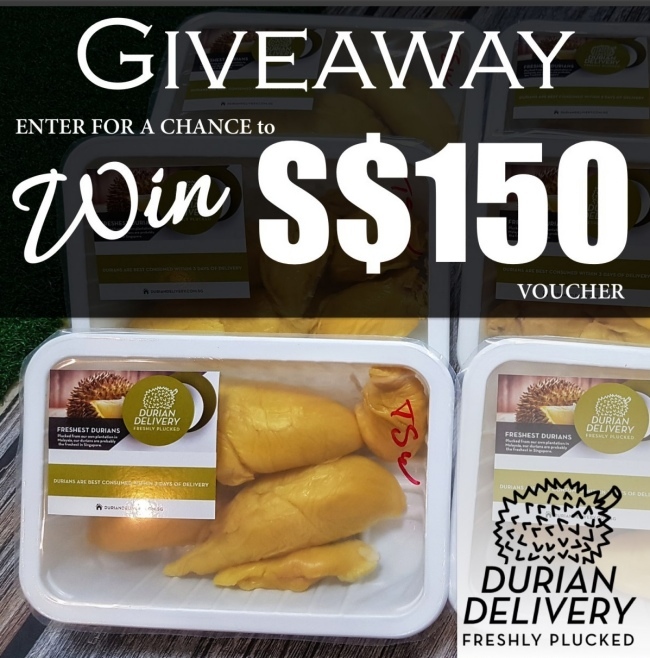 We have an S$150 Durian Delivery Singapore voucher to giveaway (1 Lucky Random Winner)! Durian Delivery Singapore offers FRESHLY PLUCKED DURIANS delivered straight from the farm within 2 hours! - It is open for people residing in Singapore only. - The voucher is valid for redemption till 31 Aug 2018. View My Facebook Post to partipate in the Giveaway!